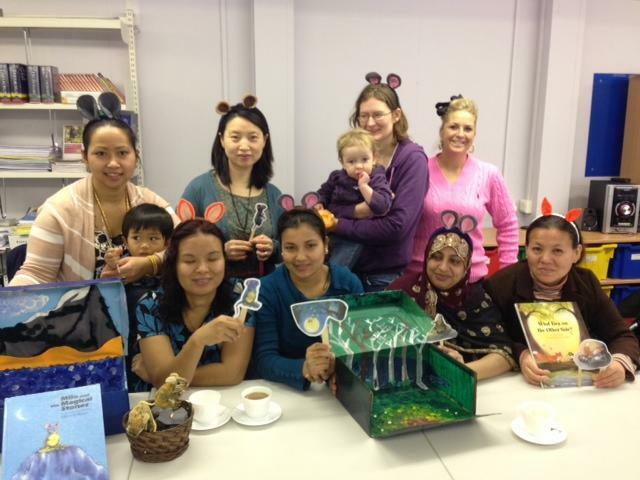 The families in the Coffee Break group have made two wonderful story boxes for the children to use. One story box is based on a book called " Milo and the Magic Stones" . This book has a message about looking after our world and not being too greedy. It helps children to understand the choices they make and the consequences this leads to. The other is based on a story called " What lies on the Other Side?". This second book has a message in the story, that sometimes new people and differences can feel scary, there are lots of rumours that make us imagine things but actualy, we are all very much the same inside. The story has a good ending about friendship and overcoming personal fears. The school wish to give a huge thank you to these parents, the story boxes will help bring learning to life for the children who use them.